Wow. I adored this book. Set in the unsteady streets of pre-Revolution Paris, Camille is forced to take care of her siblings in the wake of their parents' unfortunate deaths. She possess a small amount of la magie that allows her to turn petty objects into coins for just a few hours--long enough to find food and pay rent, but when her brother turns on her, that road is no longer an option. She must face bigger magic and more dangerous stakes: gambling in the court of King Lous XVI and Marie Antoinette. 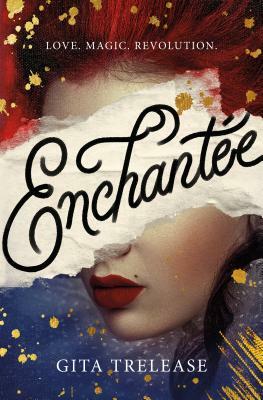 Glittering and delightful, this book was magic from start to finish.